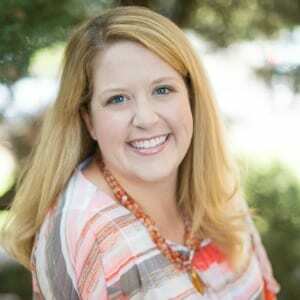 Most children love our four-legged and feathered friends. 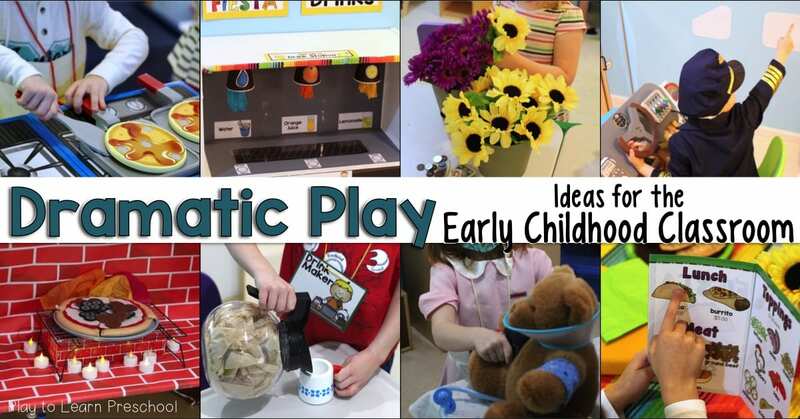 Transform the dramatic play area into something extra special! 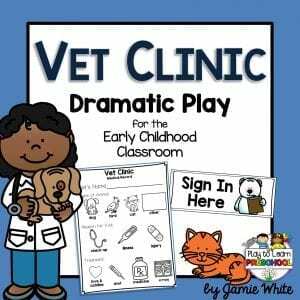 This Vet Clinic can be a wonderful way to tie in science, math, cooperative play, and literacy skills all in one dramatic play area. 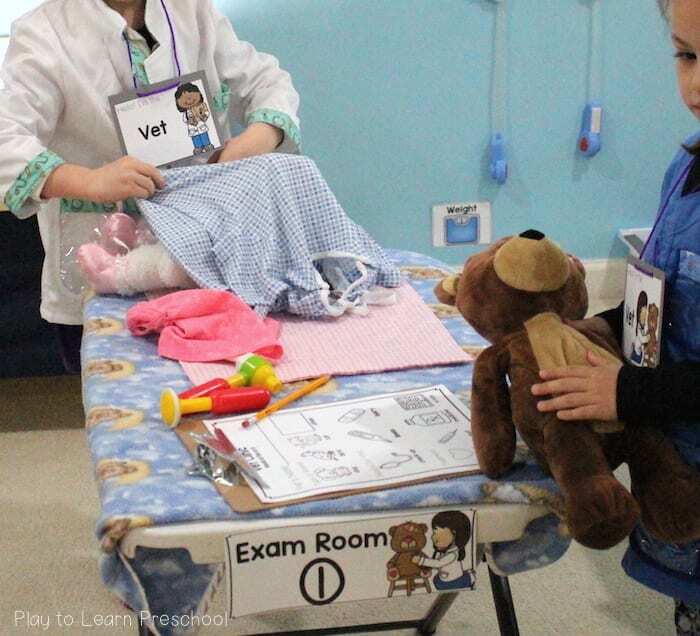 It also encourages empathy, and can even help a child who might be feeling a little anxious about their next check-up feel a bit more at ease. Working together is always a great skill to practice! 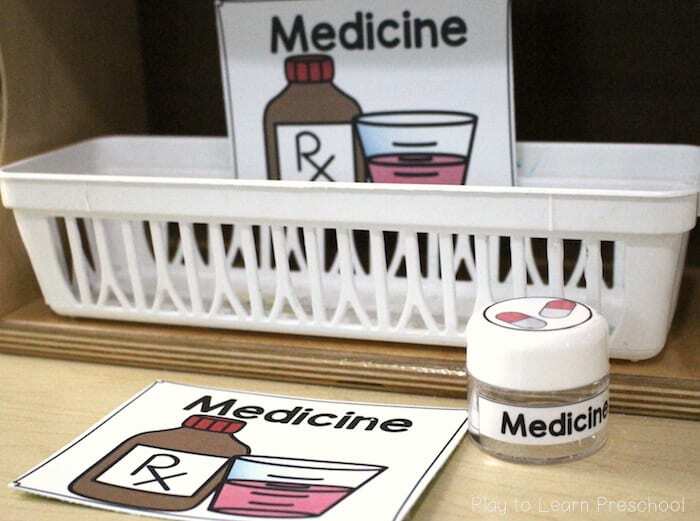 Children will incorporate their Math and Science skills as they read the numbers on the medicine droppers, count “pills”, and explore the medical tools. 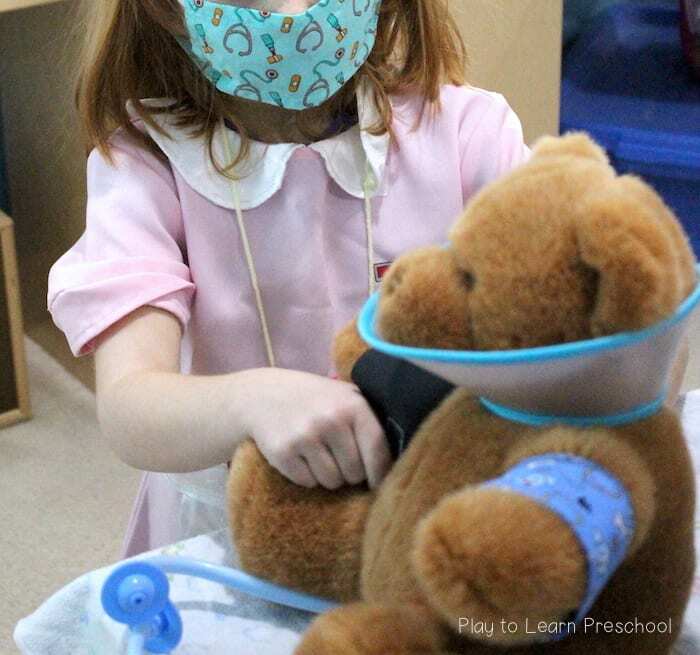 of course, a toy doctor’s kit! 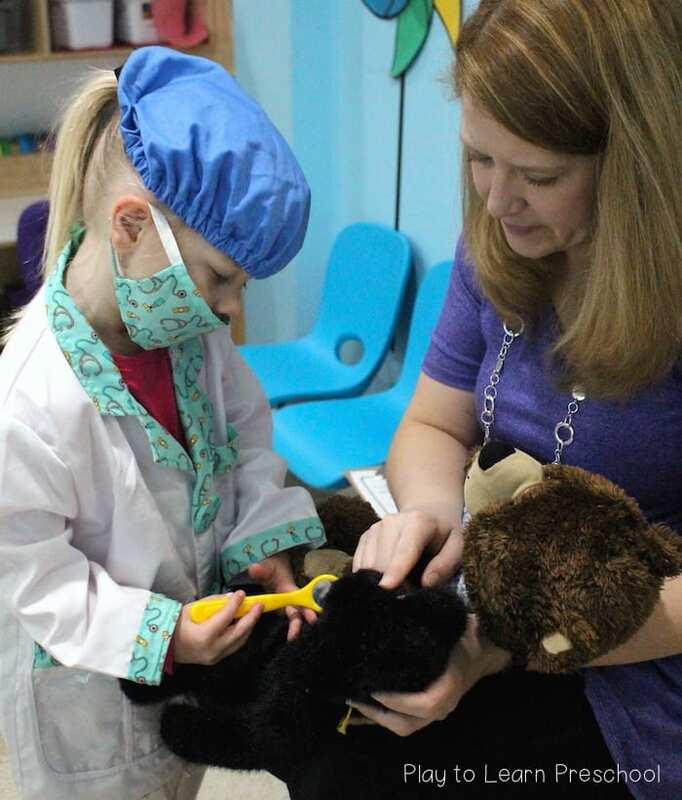 stuffed or plastic animals to help feel better! 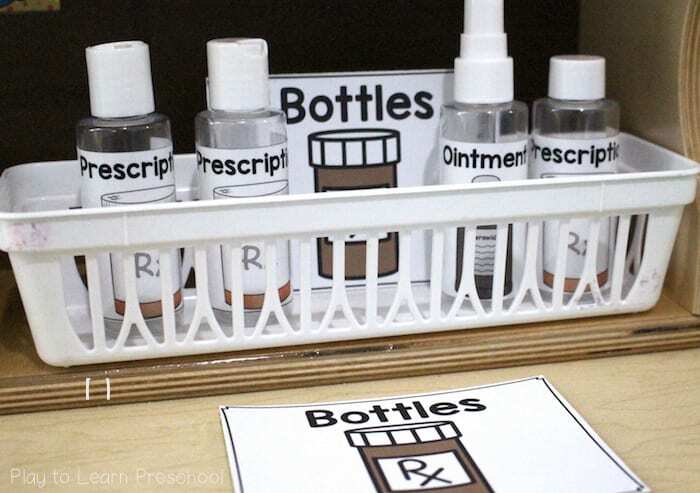 Signs and labels make it feel real and encourage literacy skills. Yes, that is a “Cone of Shame” in the clinic! Travel size bottles make inexpensive yet realistic props! 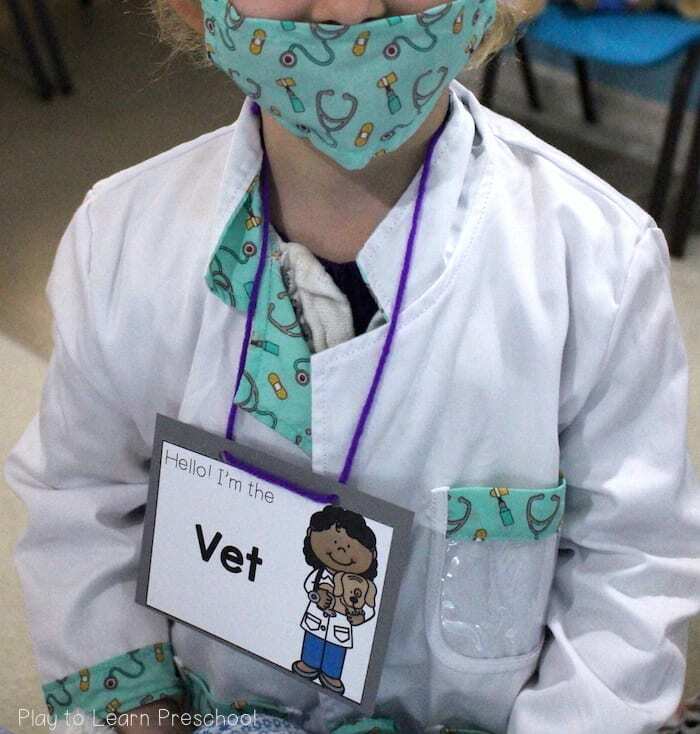 Encourage pre-writing skills with the medical record sheets. Pictures combined with words help make connections. 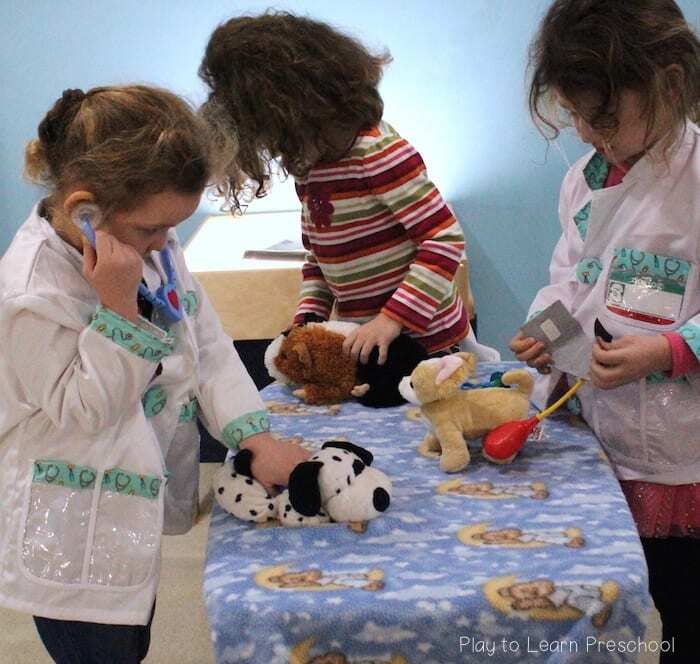 This dramatic play center can be especially helpful for children who might feel a little anxious about their own check-ups. 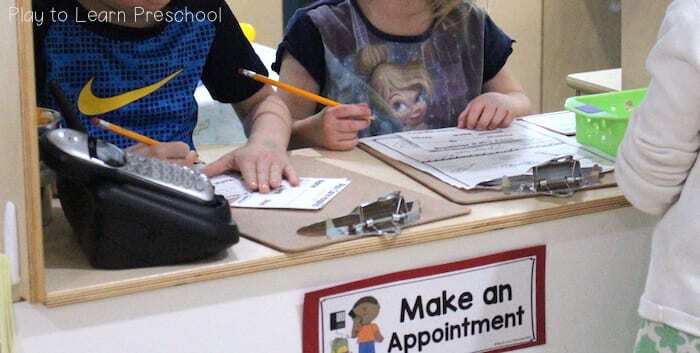 Badges help children work cooperatively while also reinforcing literacy skills. 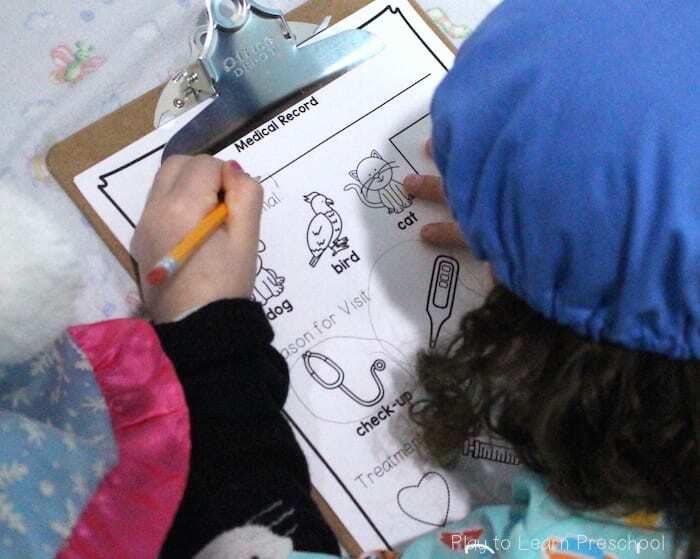 The “intake form” extends vocabulary skills and fine motor skills (drawing and writing) as well! 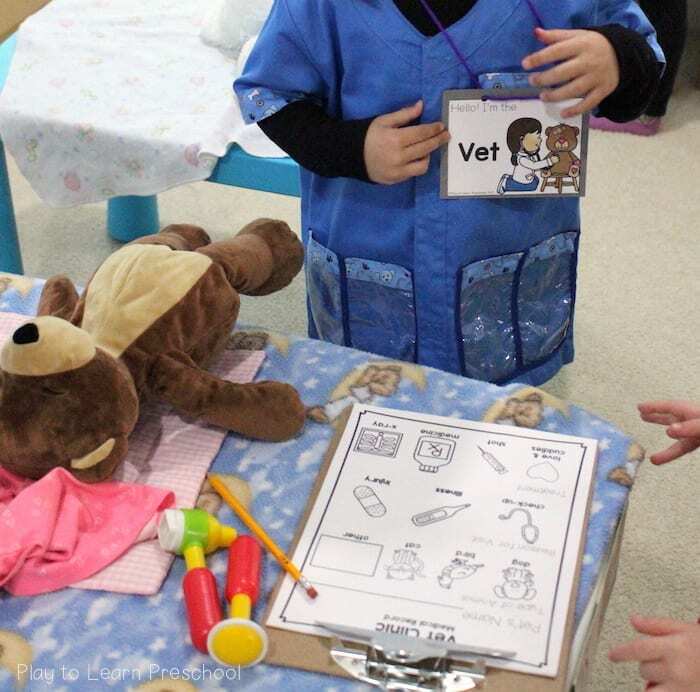 All of the name tags, intake forms, labels, and signs for the Vet Clinic are available for you to print and use HERE. I hope that your class enjoys them as much as we do!